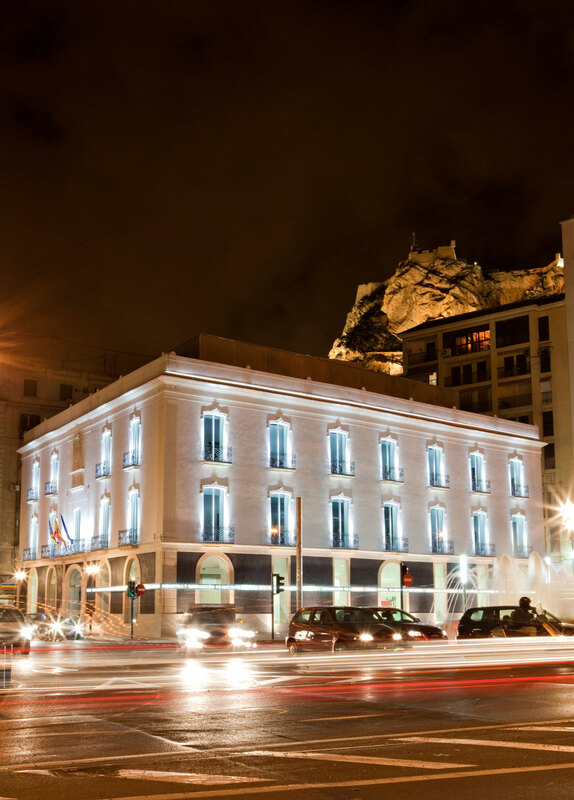 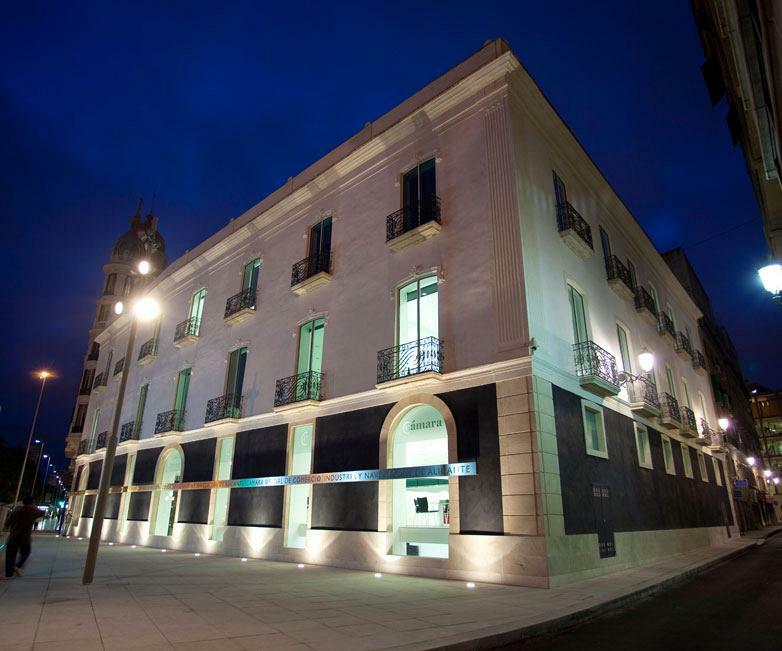 If the architect from Alicante Juan Antonio García Solera was responsible for bringing this building back to life which in its day housed the mansion of the Count of Soto and later the iconic Palas Hotel, and turning it into the Headquarters of the Chamber of Commerce, Alicante, then Actiu was the company responsible for furnishing these facilities where following a nineteenth century facade, hides a corner of the XX1 century. 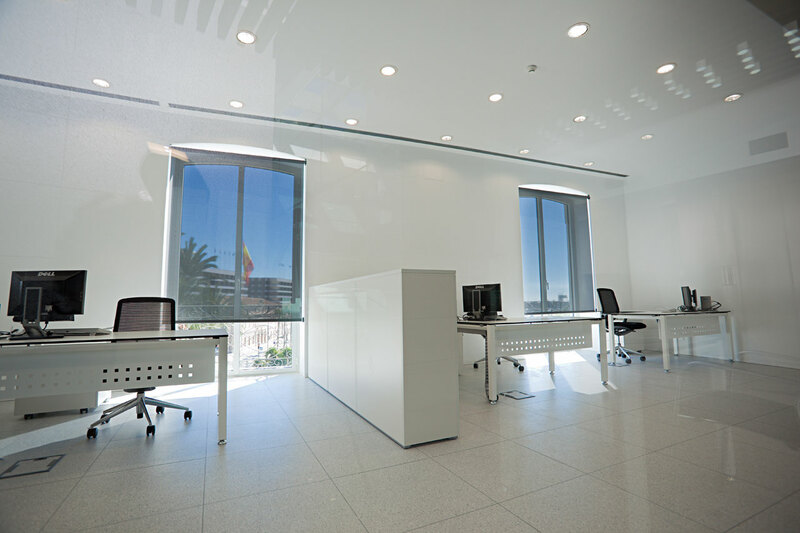 A project in which Actiu furniture has shown its capacity to combine history and modern, functionality and design. 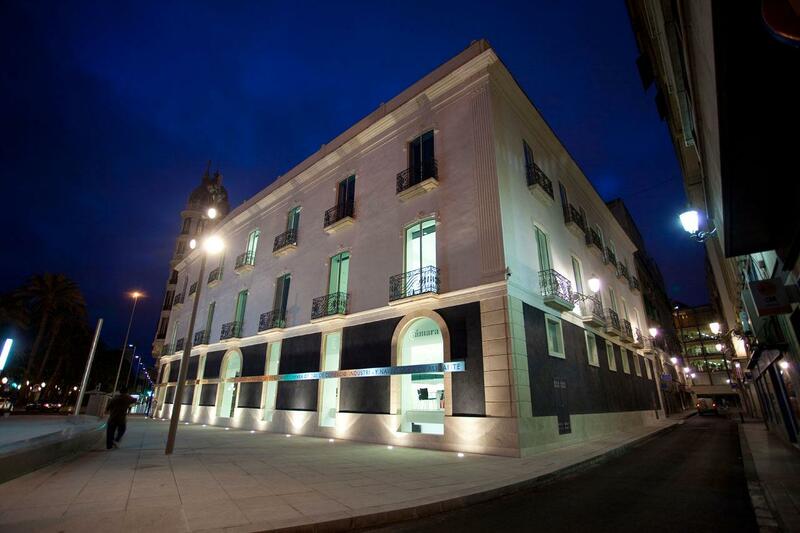 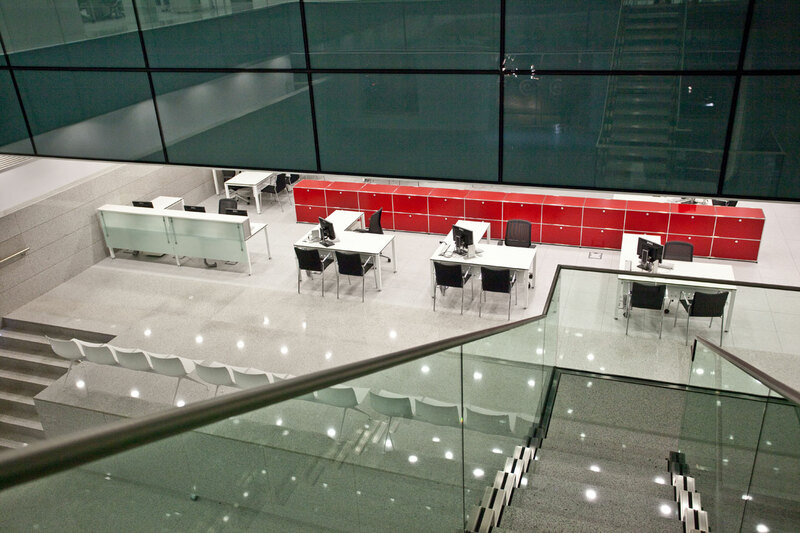 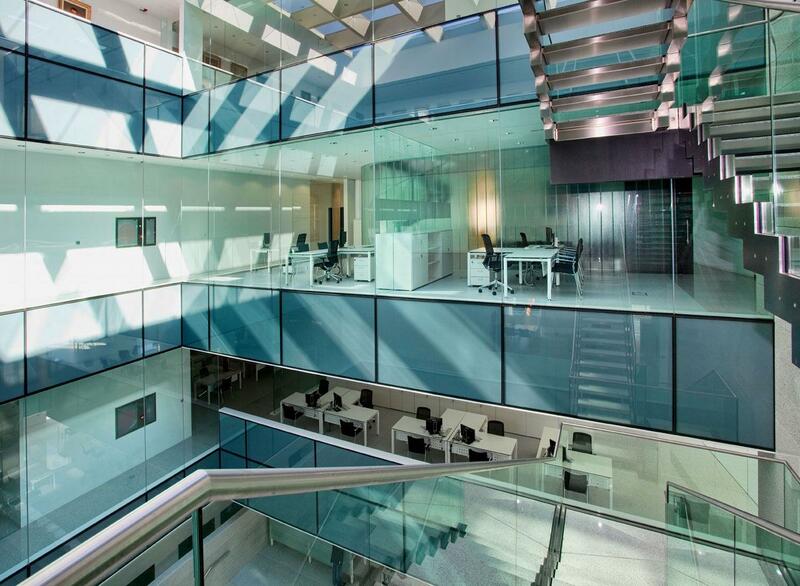 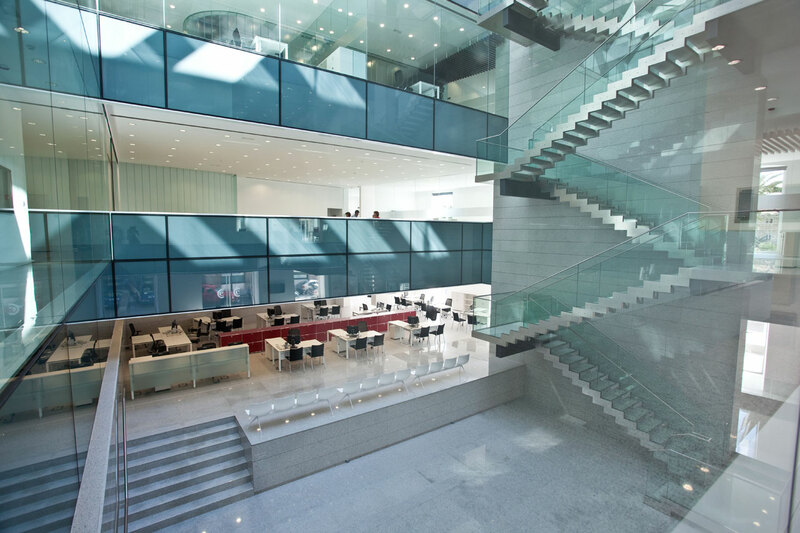 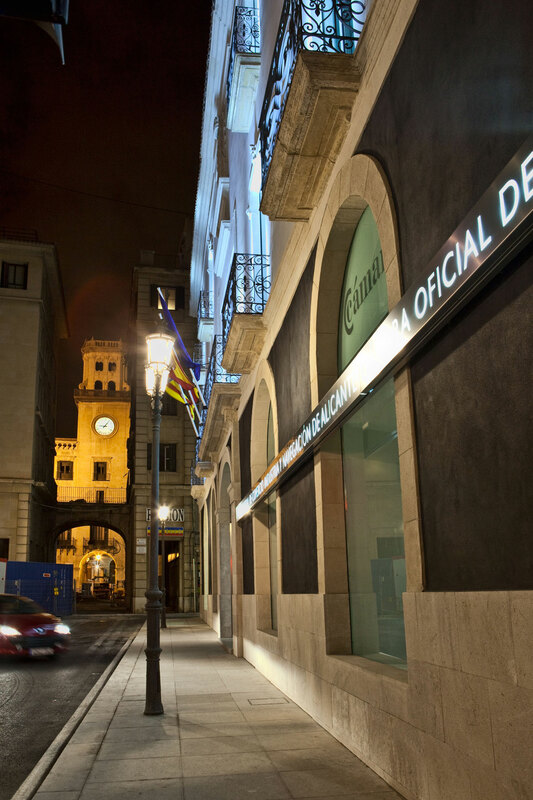 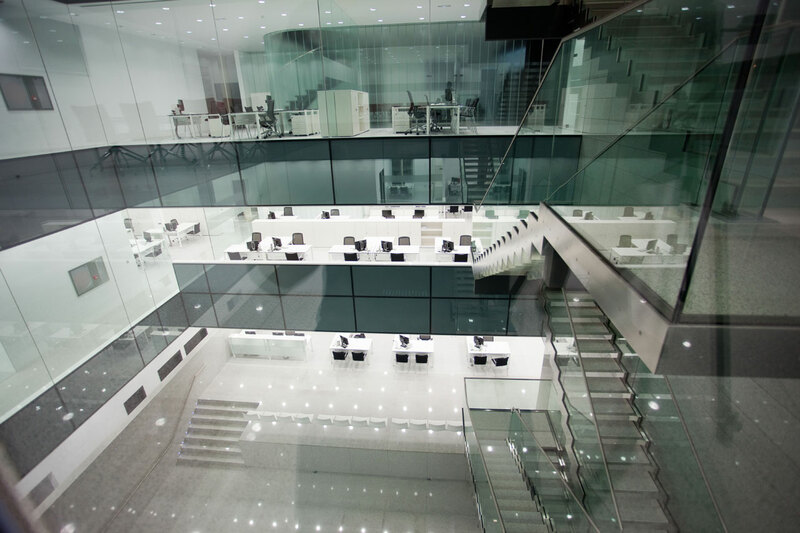 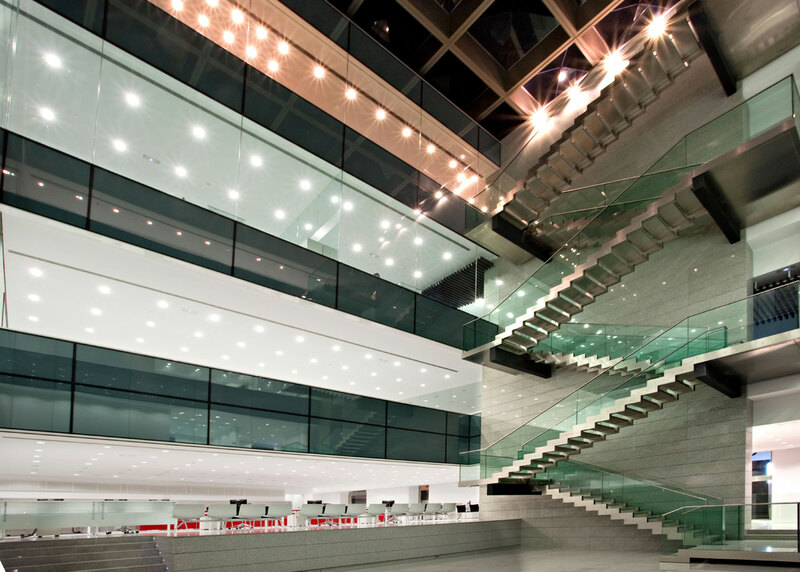 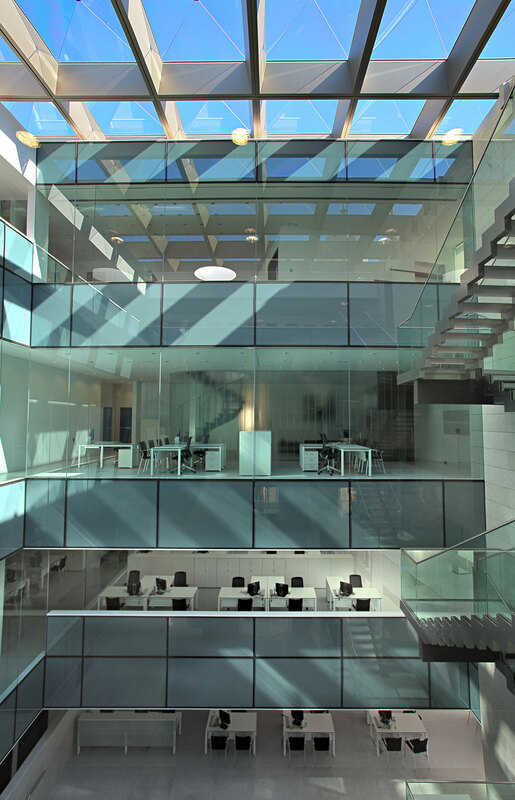 The new Headquarters of the Chamber of Commerce in Alicante has three floors and a basement partially spread out over 8000 metres, crowned by an enormous skylight which provides natural light into the facilities. 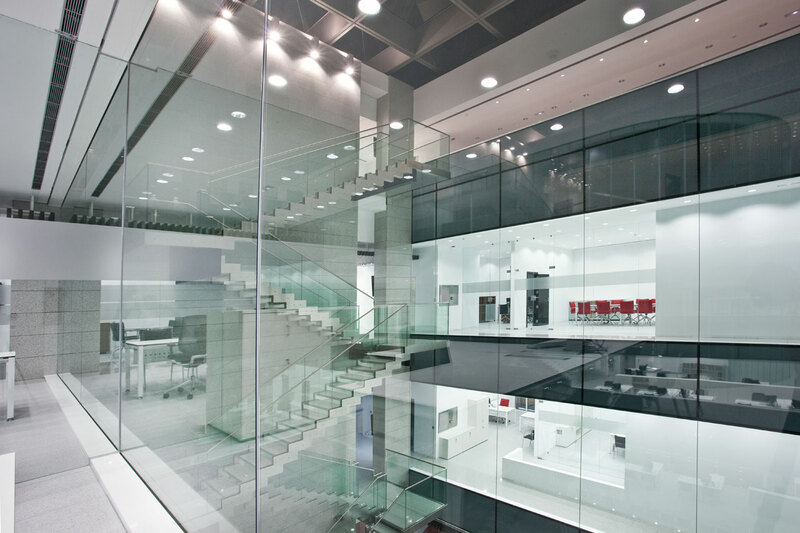 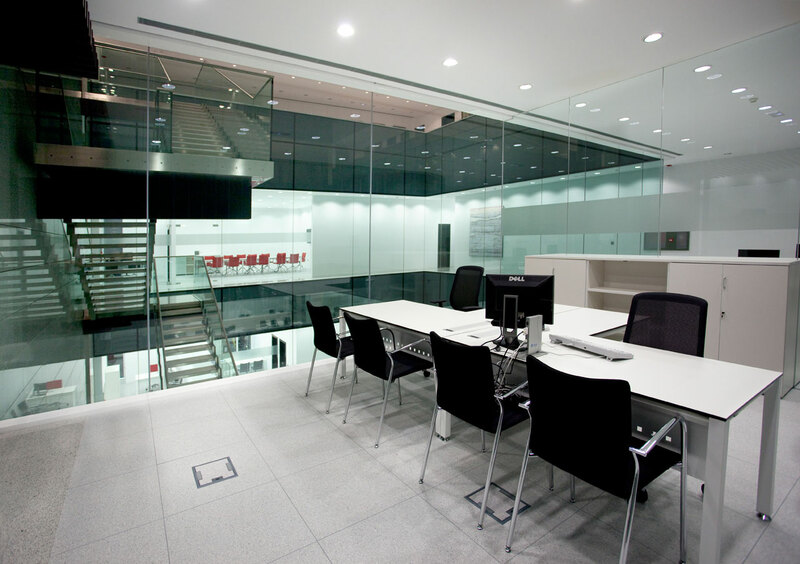 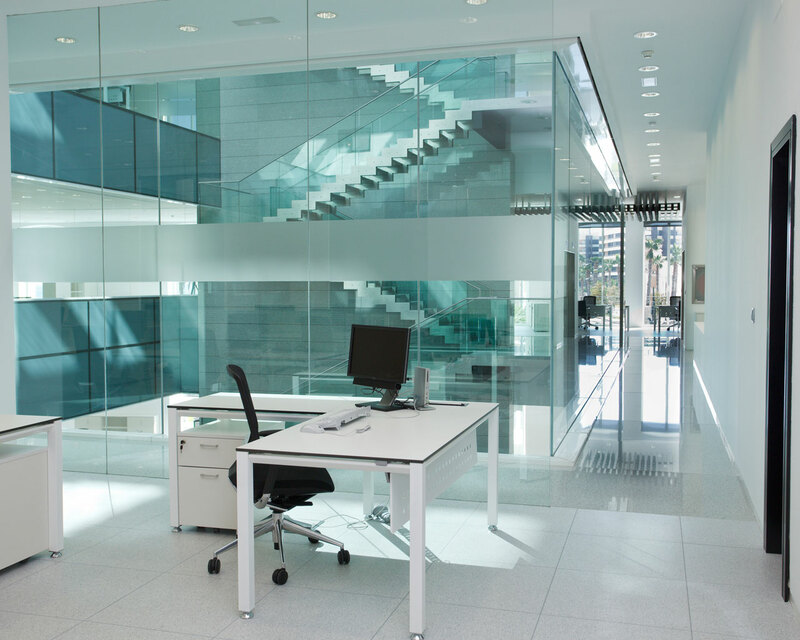 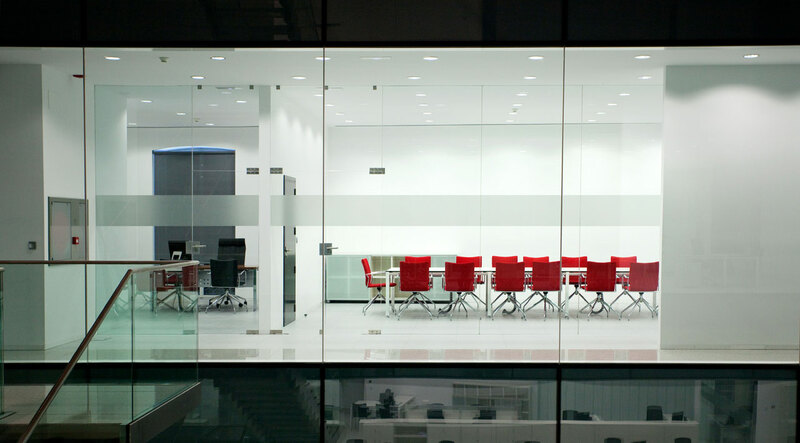 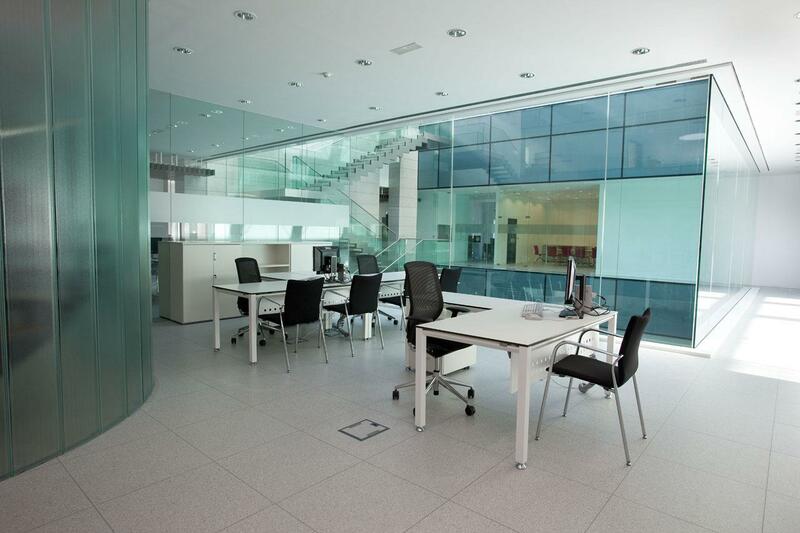 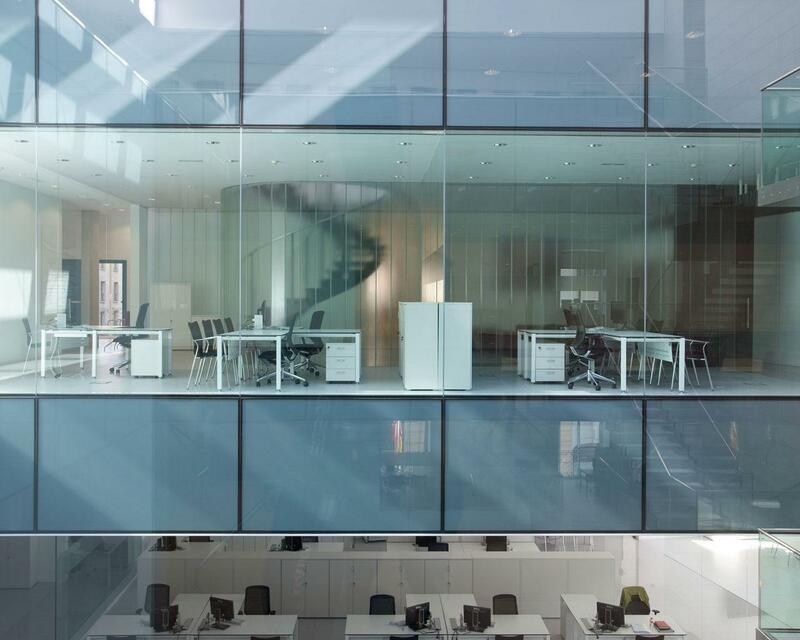 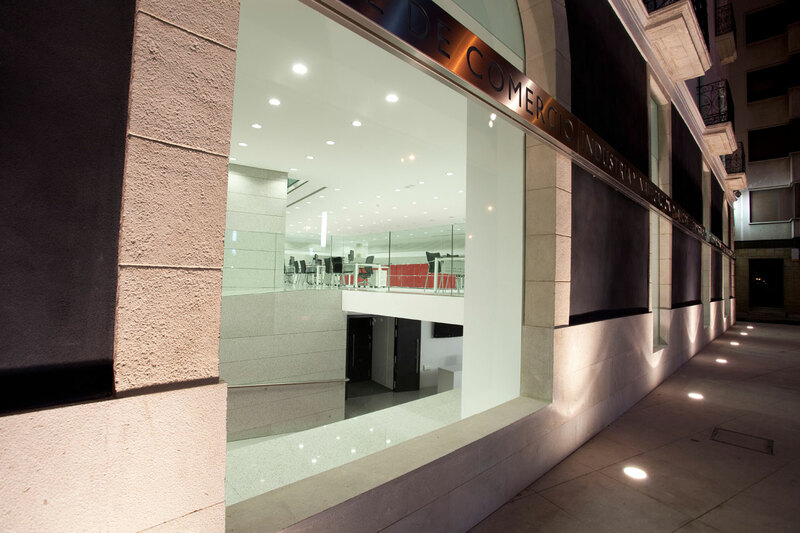 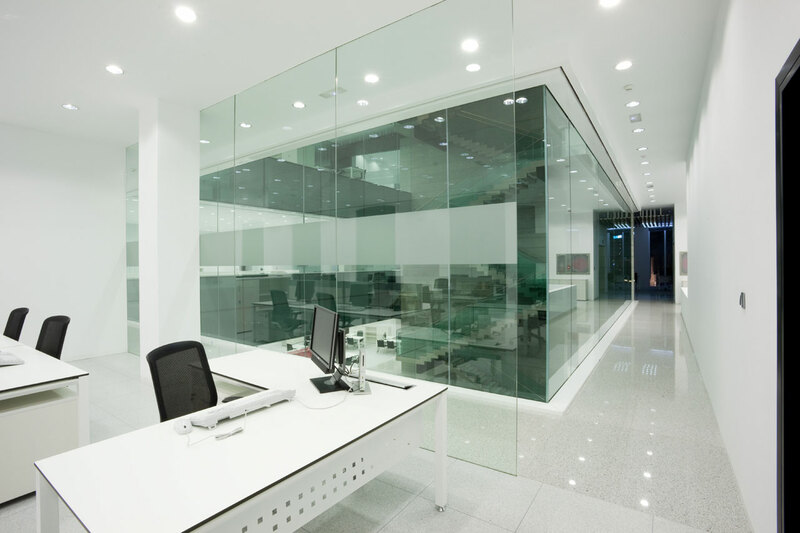 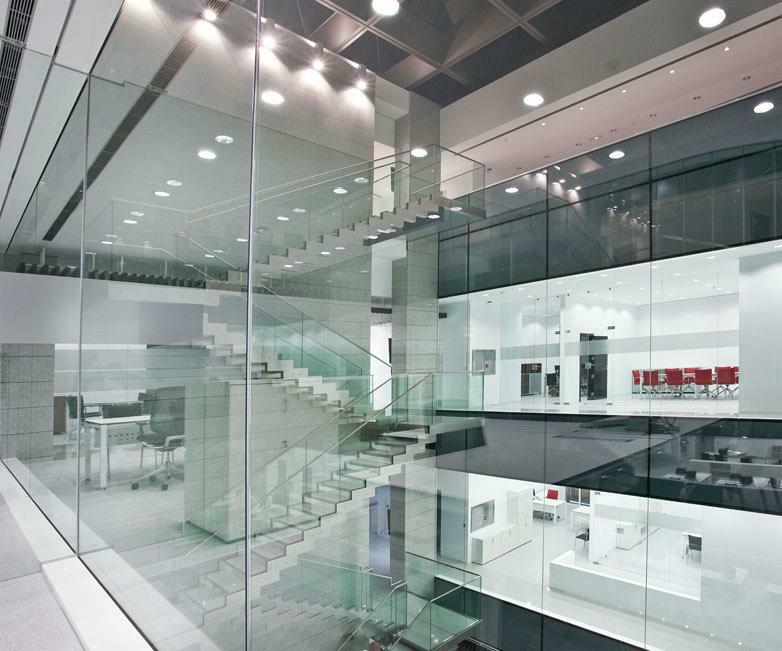 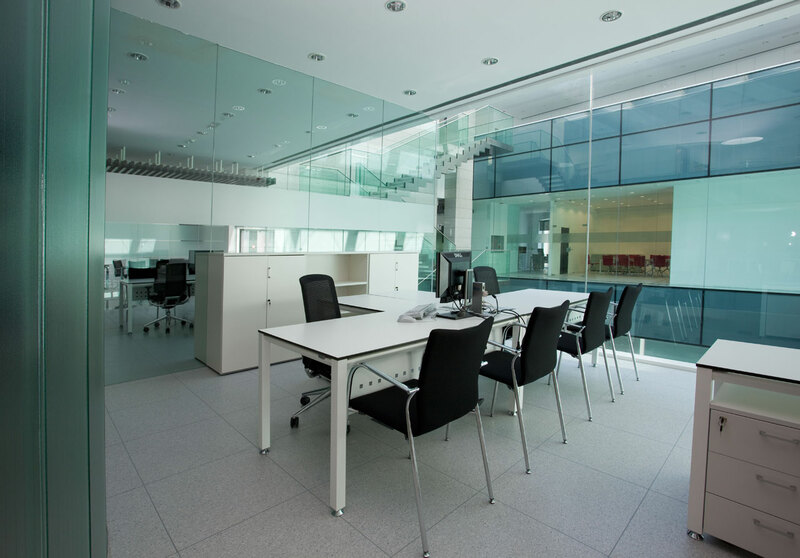 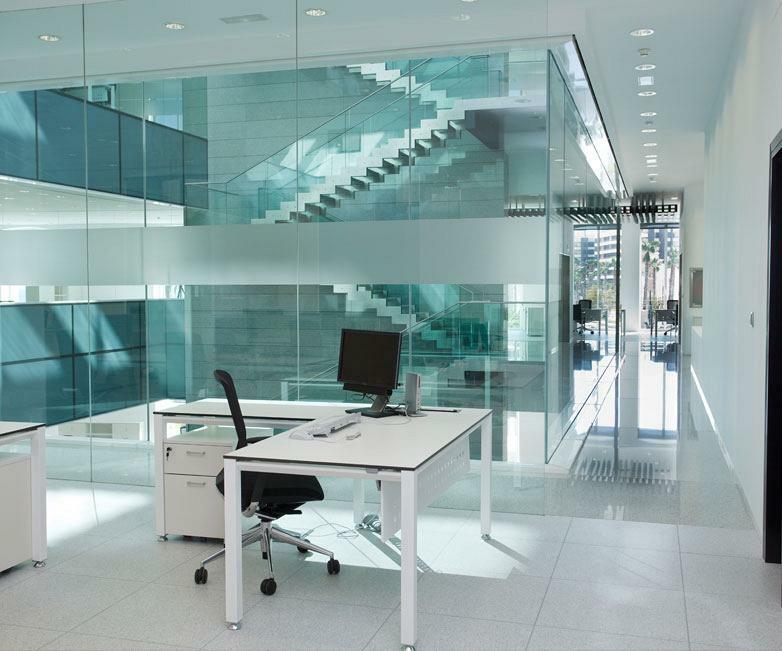 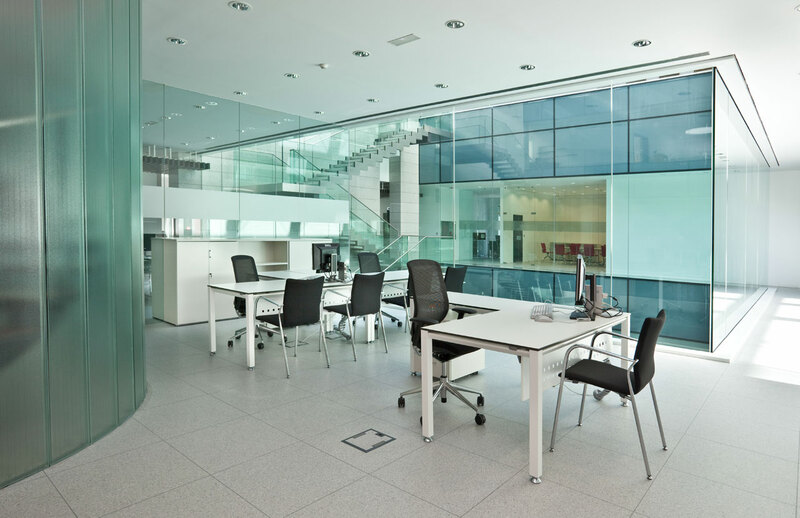 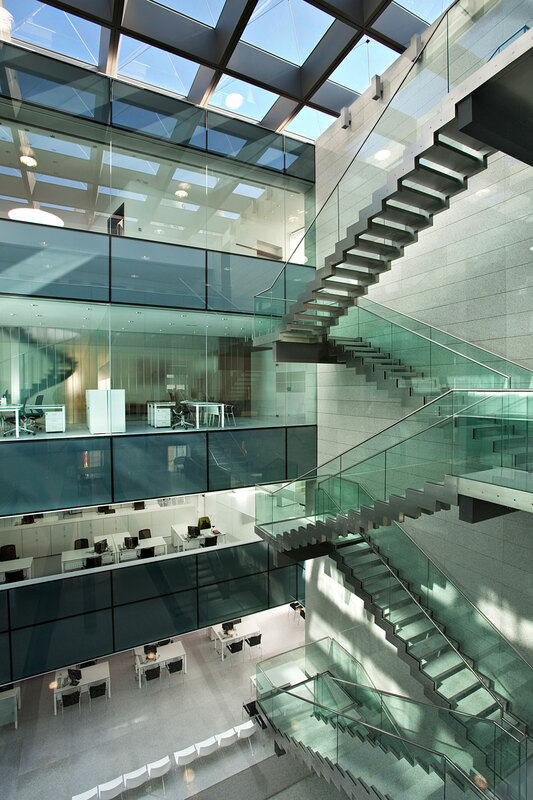 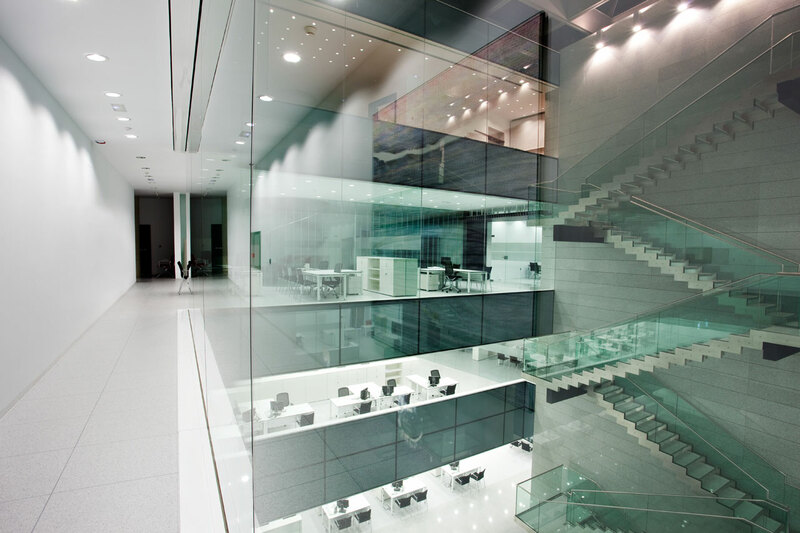 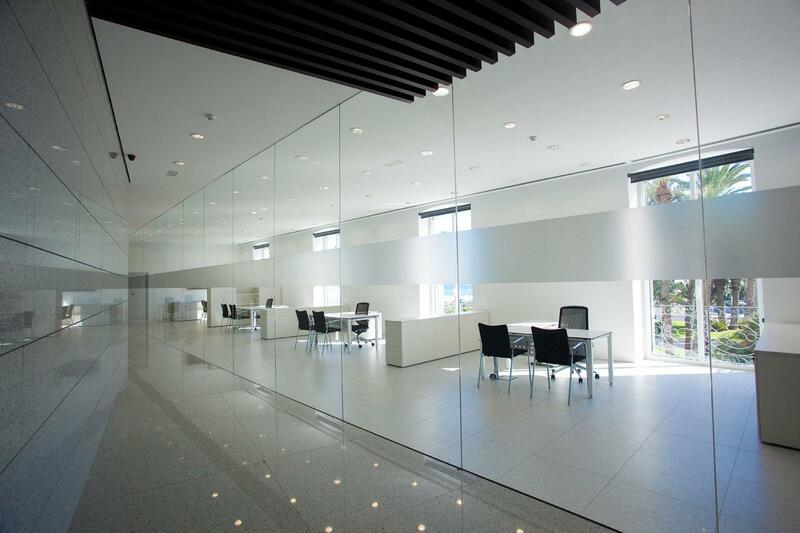 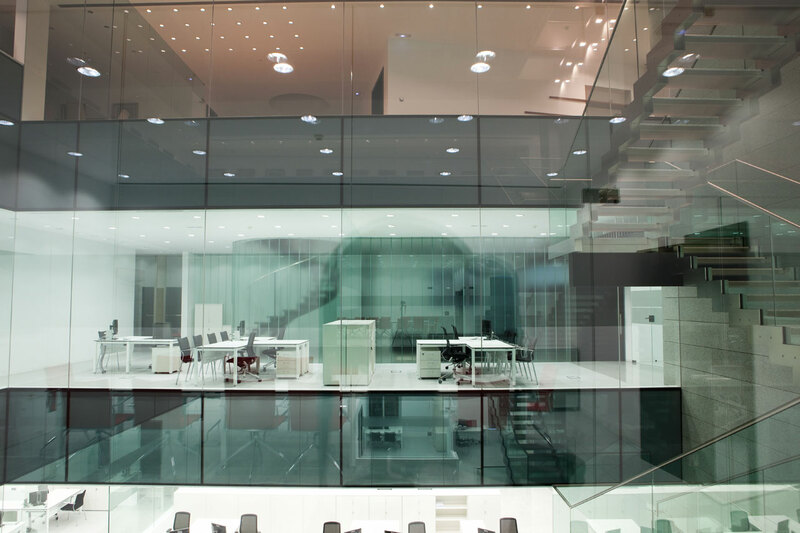 Glass, light and lightness are the main characteristics of the interior of the building. 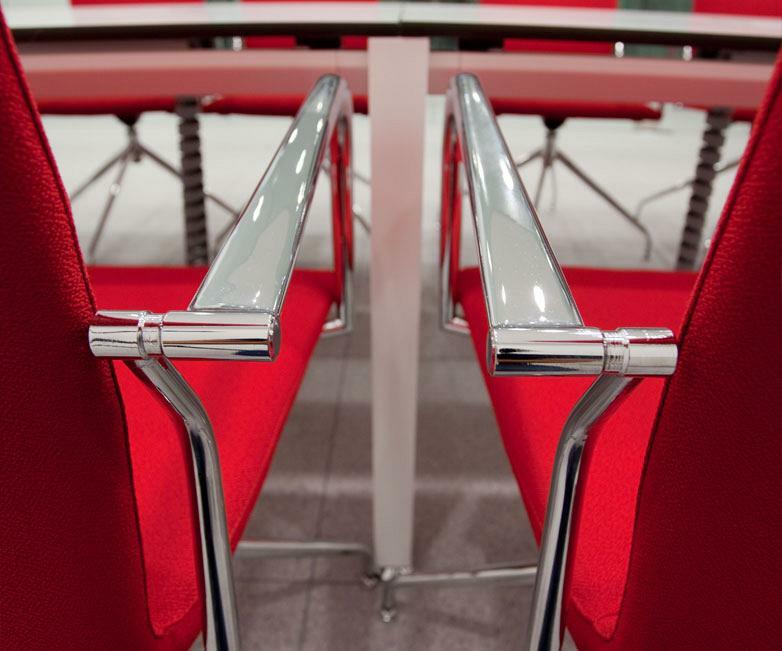 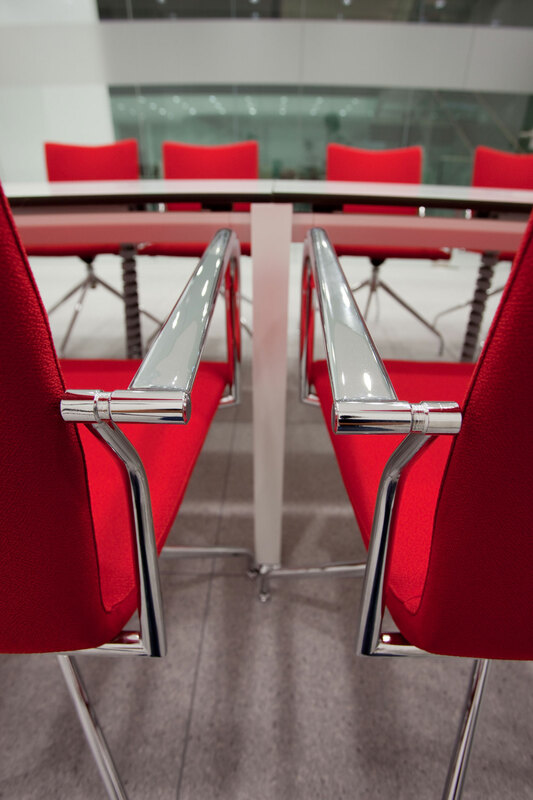 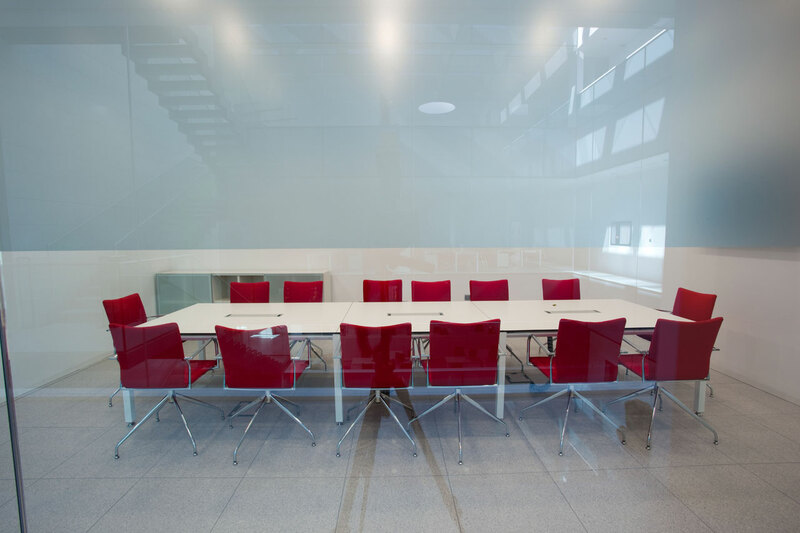 Therefore, after studying in detail the needs expressed for each of the areas, monochromatic equipment was proposed; white for all furniture and black for all seating, only breaking this trend for Ikara red chairs for the meeting rooms. 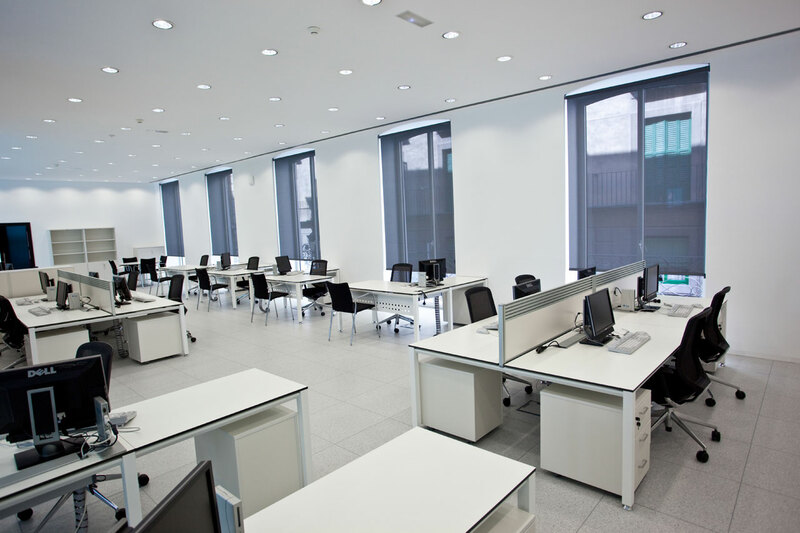 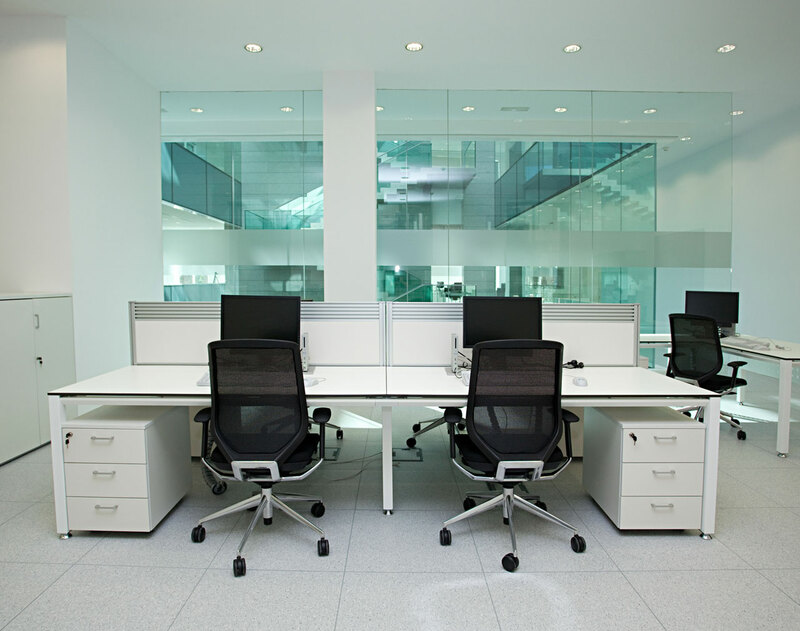 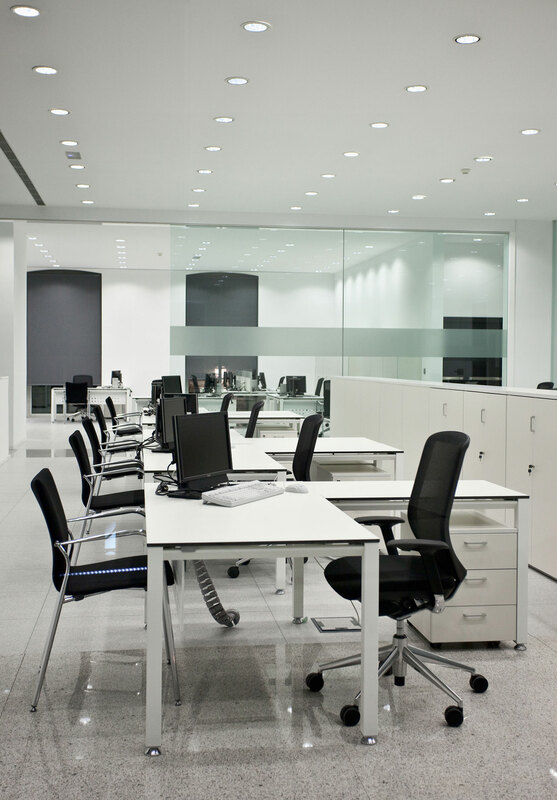 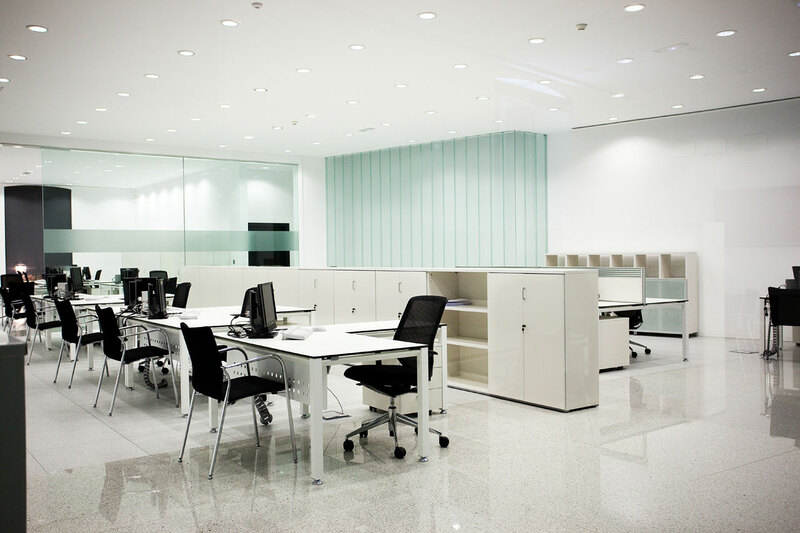 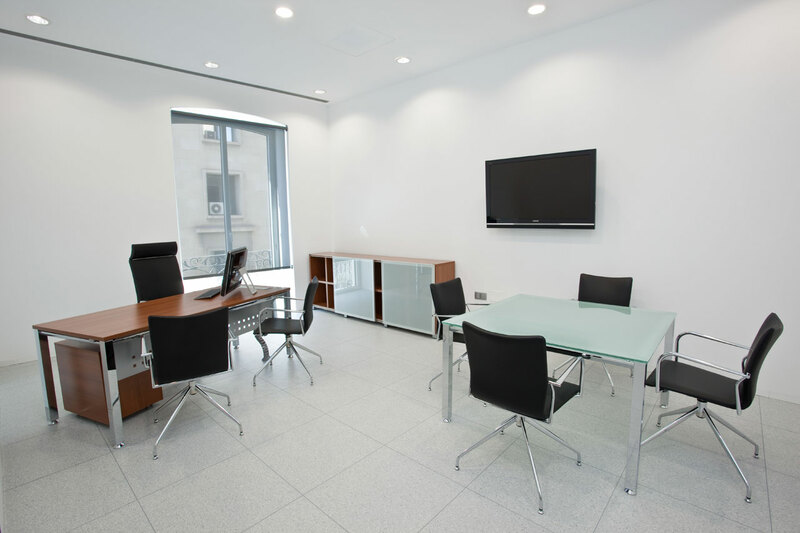 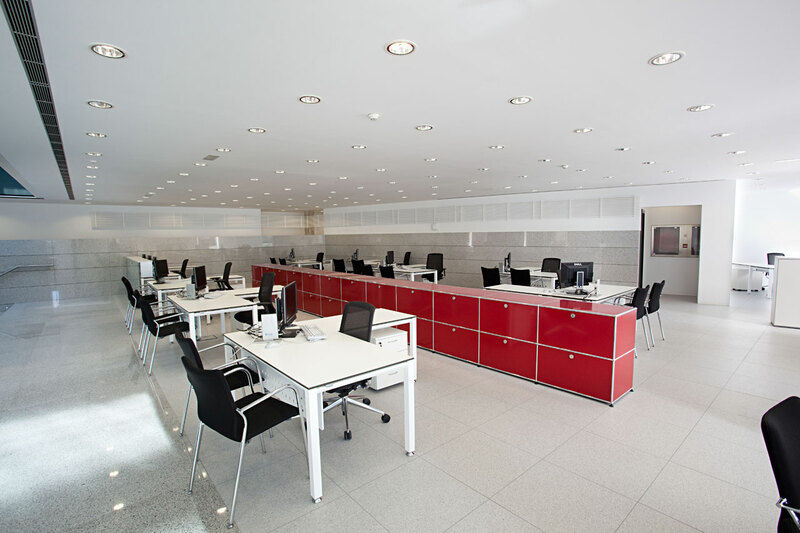 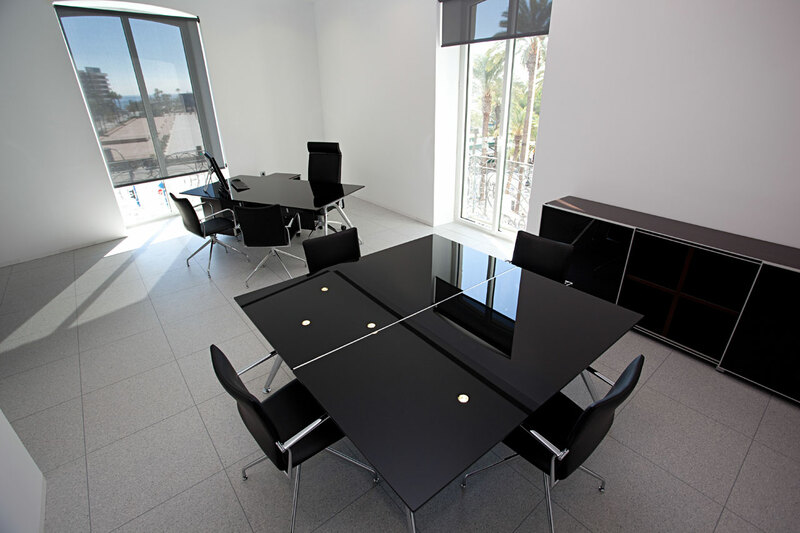 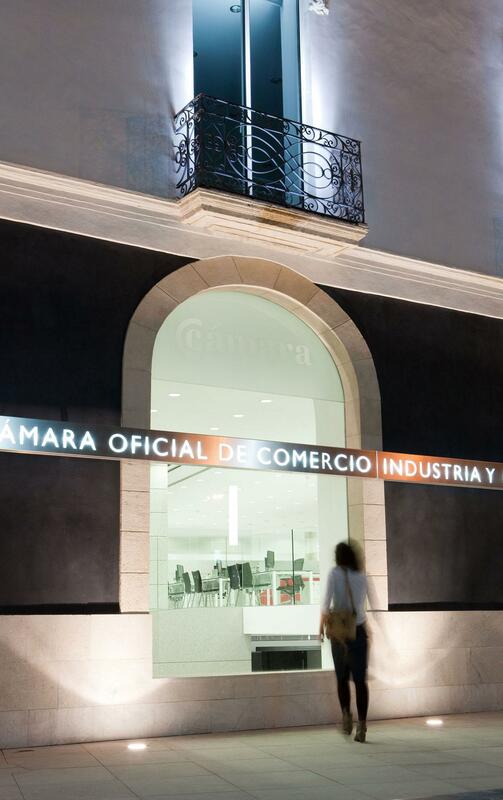 The Chamber of Commerce has part of their facilities designed for customer service which uses Vital desks and TNK chairs with one or two Ikara chairs for each job position. 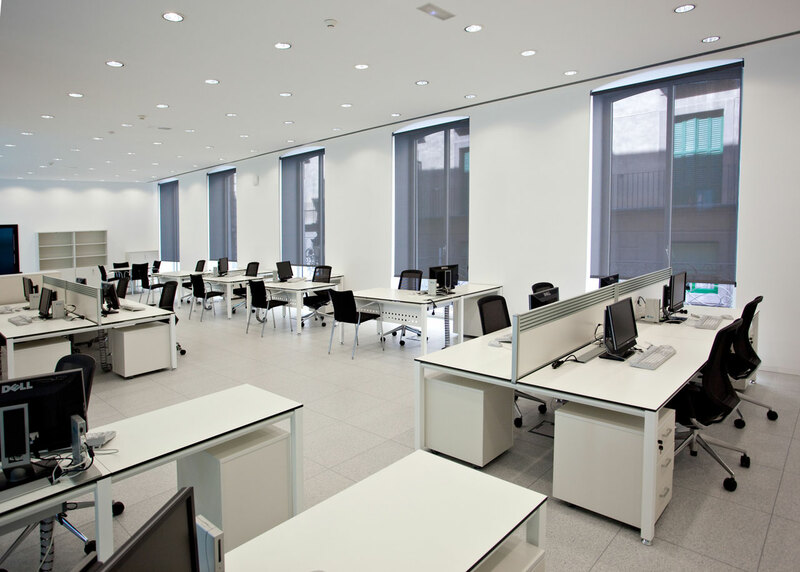 Moreover, in order to privatize quarters they have differentiated between each operative workstation; for which the versatile desk Vital has been chosen and the ergonomic chair TNK, the meeting rooms; equipped with Arkitek desks, Vital and the Ikara chair upholstered in red and the area reserved for managing the institution. 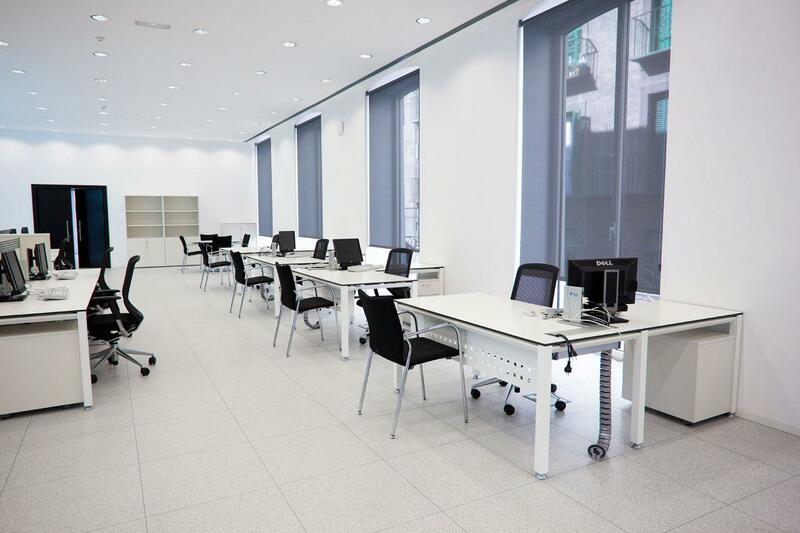 For management space they wanted a more exclusive atmosphere and therefore have used the Arkitek management desks, with an elegant and avant guard design, led by the Kados chair, with straight lines and soft transitions, consistent with the installations.